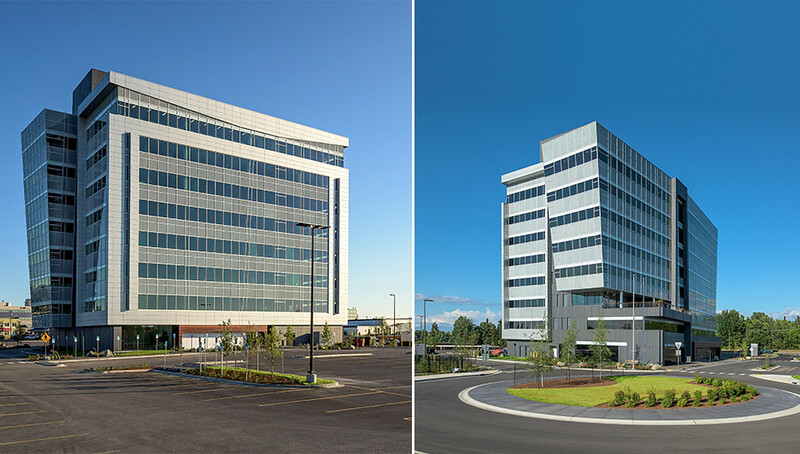 Owner: Cook Inlet Regional Inc.
PDC Engineering provided the components and cladding support for this 110,000 sf, 8-story new office building in midtown Anchorage. Cladding elements, such as roof and wall coverings, receive wind loads directly. Components receive wind loads either directly or from the cladding, and then transfer the loads to the main wind force resisting system. Cladding and Component elements are exposed to higher wind pressures and must be designed accordingly. This building, featuring clean lines and glass facades, was designed using an external geometry such that it changes the outside appearance of the building depending on the location of the viewer. 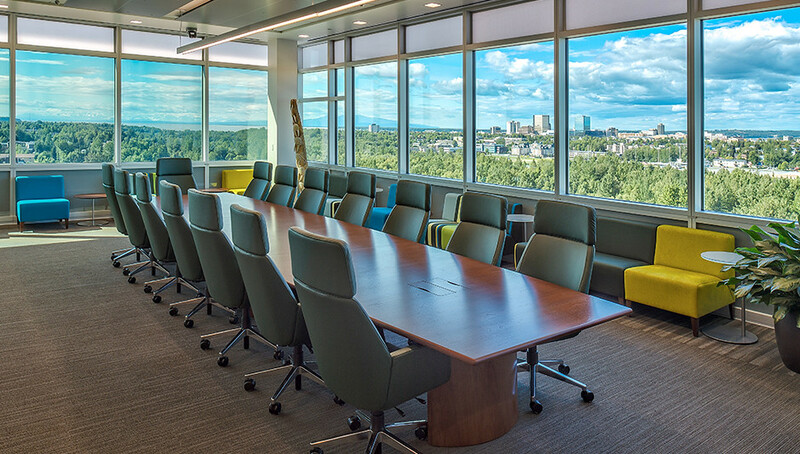 High-tech dynamic glass windows that dim automatically to cut glare and reduce summer solar heating were used. The building’s exterior was designed not only to produce solar energy, but to provide optimal daylight to occupants. The project obtained LEED silver certification.